One of the first questions I get at screenings of “All The Rage” is, “How’s your back?”, or “Are you healed?” My response is generally something along the lines of, “I’m much better but I have this disease called being human and I haven’t fully recovered from that yet.” Healing is a journey that does not end. There is always the possibility of a little more healing around the next curve. In, “All The Rage” I struggle to fully overcome a debilitating bout of sciatic pain that hit me like a slow moving truck in the spring on 2011. The pain was so severe that the nerve that goes from my hip to my big toe on my left leg pretty much said, “screw this” and shut down. While I have recovered to a profound degree, and I now run a few miles a day, my big toe is still quite weak. In truth, despite all of my emotional work, most of my stress still wants to settle in that foot. The good news is that I continue to improve both emotionally and physically. However, like everyone else, my healing is an ongoing process with ups, downs, and in-betweens. Emotionally, I am in a profoundly better place than I have ever been in my life, and yet sometimes things still catch up to me. This is not exactly what people want to hear, but it’s actually what they need to hear. In general I have also been doing much better physically, but last night I had a tremendous migraine. I’ve only had about a dozen in my life, and each one has been a doozy. Stress, and a unconscious physical response to that stress, is a part of everyone’s life. This is the main point of “All The Rage”. The good news is that awareness of this is the key to healing. When the symptoms cause us to have a fear response things can spiral out of control. Having a sense of what is going on gives us a pathway out of the problem. When we spoke to Dr Andrew Weil for the film he told us his story. It didn’t make it into the film because for many people this made the film feel like propaganda. 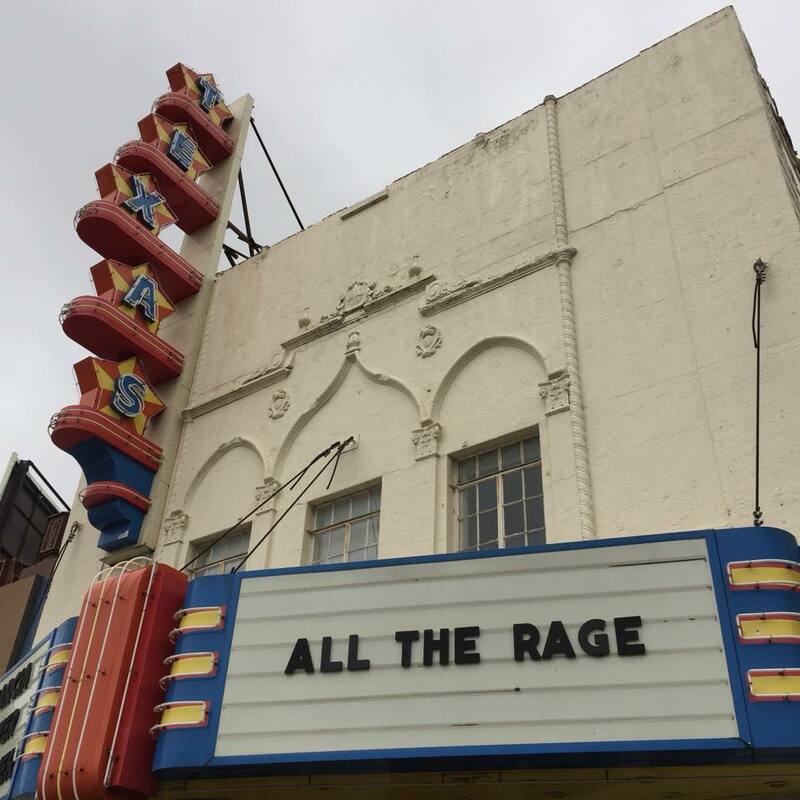 Earlier this week we showed “All The Rage” in Dallas. I can’t really watch the film anymore so once it started I took a walk. When I got back I found a friend of mine in the lobby. She was having something of a panic attack that was triggered by watching the film. She was shaking a lot and I tried to help her breathe through it, hoping to help her find some calmness. After a bit she realized that the shaking was necessary, that it was a way of releasing some long repressed emotions, so I tried to support her as she shook it out. She had some profoundly realistic memories of traumatic events that she related to me as she let herself feel them. As she started to find some calmness I had to rush off to do the q and a. Afterwards she felt much better and reported that she felt much calmer the next day. As we travel with the film, we have found that the q and a’s are different for this film than any other one we’ve made. Rather than answer questions we mostly create a space for people to tell their stories, and on this night we heard some profound ones. One woman recounted being told that she had 2 weeks to live after a 12 by 12 inch mass was found in her chest. She knew that it was caused by stress and turmoil so she refused the doctors advice and found a way to heal herself by accepting her emotions. While we get a profound response to the film when we have the opportunity to show it, we have faced great resistance to getting it screened. This same kind of resistance to previous films is what led to both of my other bouts of back pain. Frankly, the the difficulty in getting this film screened and talked about is heavier than ever before. The reviews have generally been mean spirited which means that very few people in the film world have watched it. In turn, this makes it that much harder to get it screened. For example, the only way we could get it screened in Dallas was to rent the theater despite the fact that my co-director Suki is from Dallas. While I haven’t ended up on the floor screaming in pain, it has been a struggle to deal with emotionally. In large part, it’s one that I have embraced and learned from. Even as I work to process the frustrations I still end up repressing a good deal and last night the stress caught up to me in the form of that migraine. To be clear, it was not all related to the reception of the film, but instead to a wide variety of different stressors and relationships. In fact I think that some of it had to do with some positive changes in different relationships. The improvements actually made room for acknowledging some of the aspects that had been repressed and that took me by surprise. The pain came on like a slow moving storm, or an earthquake, creating a dull ache in my head and shoulders as well as a general sense of unease all night. Before bed I listened to day 10 of the current Oprah and Deepak 21 day meditation process. When it was over I was so agitated I couldn’t sit still. Then the storm really hit. I felt nauseous and somewhat panicked. I struggled to find a way to stave off the discomfort. At times that meant pacing, or swinging my arms, or swaying with my eyes closed. In the past showers have helped so I took a 20 minute shower. It helped but the discomfort stuck around. I knew what was going on- what it was related to. I did what I could to embrace the moment as a gift of transformation. In many ways it was a truly awful experience, but it was also one that I knew was necessary. It wasn’t just physical pain it was emotional pain as well. In the middle of the storm I could clearly see that a lot of what was going on had to do with a difficulty in feeling, or being with, sadness. With great effort I was able to express some small part of that- a small drop in a large ocean. At a certain point I worked to let my brain know that I was getting the message but that I needed a break, and it kind of worked. As the migraine began to pass I knew that I had only scratched the surface. I learned a lot, and got a little closer to some understandings that I needed to get to. I also knew that I could move the process forward without so much pain in the future. Today I woke up a bit exhausted, but much calmer- still human. Human – Yes we are! As i told you on the phone today I was having physical symptoms this week related at least to some degree to anxiety around the screening. The value of Dr. Sarno’s ideas for me is not mainly in that they bring about miracle cures which they surely do. The value is that when we have physical symptoms we don’t freak out about them creating more conflict and making them worse, instead we can relax and feel them and the emotions behind them(allowing us to connect to ourselves instead of disconnecting) and then the healing can occur – however long it may take. As I say in the movie – it is the connection which heals! And the knowledge that we are OK no matter how we feel! There is a great quote from a play by Arthur Miller which underscores this. This above all else is the value of Dr. Sarno’s work – it allows us to take our life into our own arms and kiss it and love it no matter how horrible it may seem! This statement makes perfect sense “I’m much better but I have this disease called being human and I haven’t fully recovered from that yet.” I see far too often that people think you get over something and move on and that’s the end of the story. It is a process and what I find these days that the more I become aware of what is going on, the more I see that I can impact and change in my life.